Discover one of the joys of Africa and visit Namibia - an off the beaten track, multi-faceted destination famed for its incredible array of natural attractions and hauntingly beautiful landscapes. The country provides a unique safari alternative to other higher profile destinations in Africa and boasts all of the big five. Namibia also has the largest free-roaming population of cheetah and black rhino in the world. Whether you like travelling in luxury or economically, with a guide or by yourself, and whether your interest is in wildlife, landscapes, adventure, stargazing or culture, Namibia’s year-round sunshine, range of wildlife and scenic beauty make it a tourist destination to which visitors return again and again. The dune ‘sea’ of the Namib Desert. 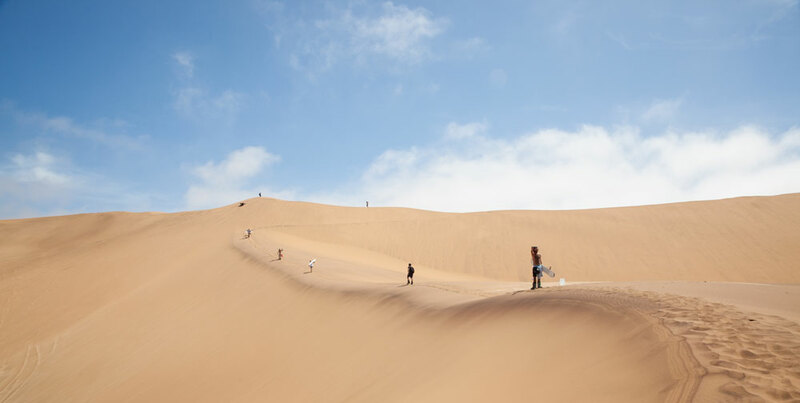 View our photographic Geostory of the Namib-Naukluft National Park here! Bring your zoom lens and snap away! Namibia is home to all of the Big Five, as well as hundreds of photogenic bird species, reptiles and endangered wildlife. Etosha National Park for its fantastic concentration of wildlife. The floodlit waterholes at the park’s three main camps act as stages where life on the savannah is played out before you each night. Damaraland for its desert-adapted species, including elephants, lions and black rhinos. The Namib Desert for endemic species of small animals and reptiles. The coast for birds, dolphins, seals and scavengers who patrol the seas and shores. The extreme north-east for an abundance of wetland species, including 450 species of birds. 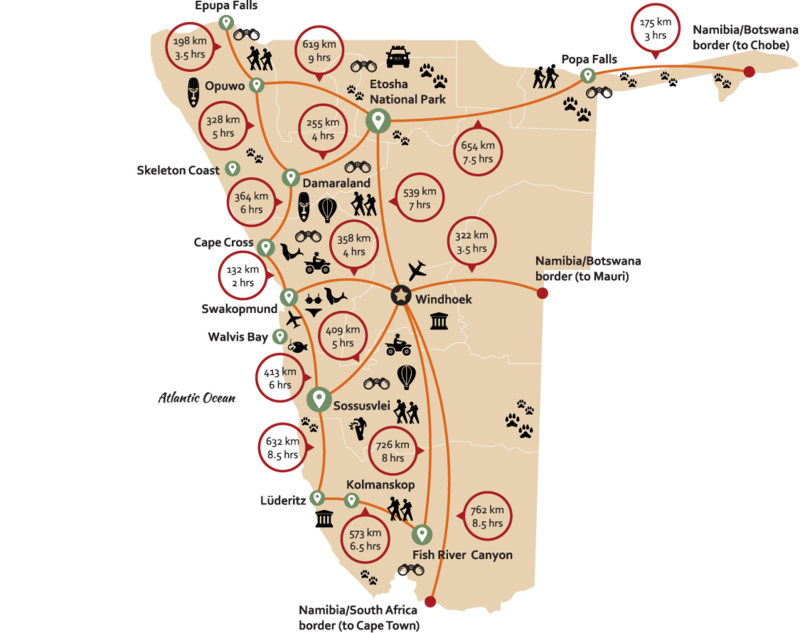 The north-east for vast populations of elephants and rare antelope such as roan and sable. 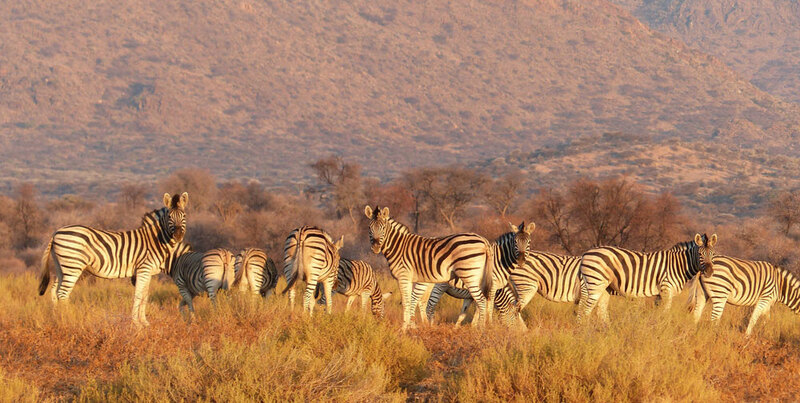 Namibia is home to 12 different cultures and is a treat for culture enthusiasts. Many tours include visits to traditional villages or living museums where local people wear traditional dress and demonstrate hunting, weaving and dancing. Tourism is an important source of income for them and they love to share their vibrant culture – so don’t be shy with your camera! The Himba are said to be one of the world’s most photogenic people – the women stain their skin with red ochre and have elaborate hairstyles and jewellery. 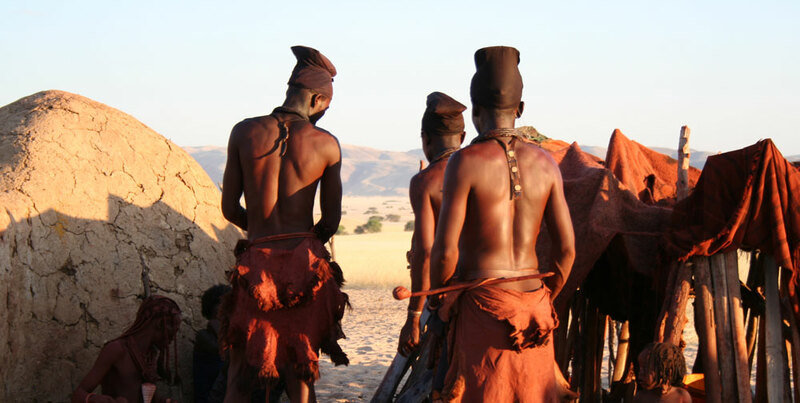 The San (also known as the Bushmen) are one of the world’s oldest tribes – take a hunting trip with them for some incredible wild shots. The Living Museums, located around the country, provide visitors with an introduction to Namibia’s various cultures, with recreations of villages and reconstructions of traditional practices. Township tours in Windhoek and Swakopmund offer a chance to photograph modern urban life – you will be invited into the homes of people from different tribes and learn about their clothes, food and lifestyles.